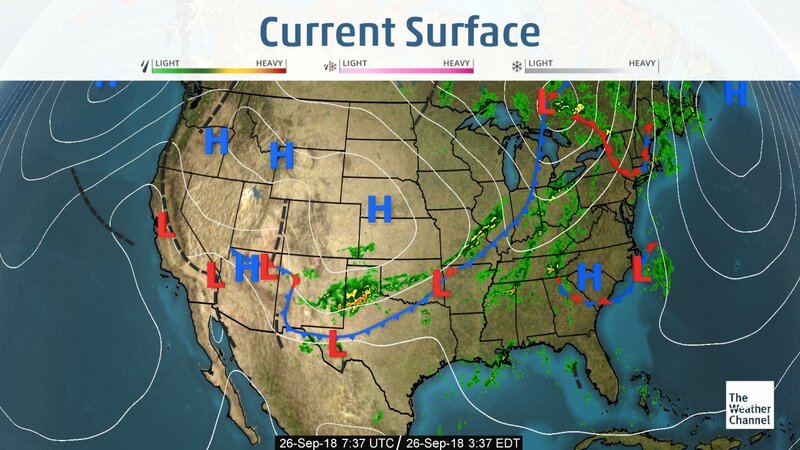 Cooler temperatures on the way out west as a deep low pressure system moves in from the Gulf of Alaska over the weekend. This system will collide with what will become Hurricane Rosa early next week. Rosa currently south of the Baja coast is expected to move into Northern Baja and then into Southern California and the southwest early next week. This may bring some showers to the region along with cooler temperatures early next week. Scattered showers and thunderstorms continue across Central Mexico with increasing moisture to the north with the approaching storm. Isolated thunderstorms continue in Florida as a tropical system bears down on the Carolinas with heavy rains into the weekend. California trucks remain adequate, and rates remain steady. Look for capacity to remain steady thru out the balance of the summer months. Washington apple truck supply is adequate as well. Idaho potato and onion trucks have started to tighten up with rates increasing. The national average on diesel remained steady this week and is currently at 3.271 per gallon. An increase of .483 from this time last year. 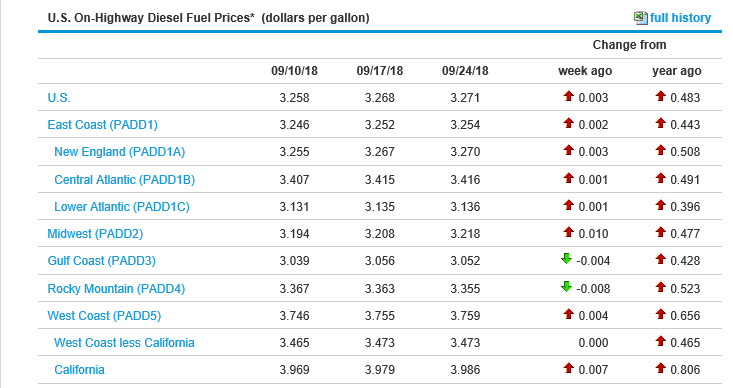 California prices remained steady as well and are now at 3.986 per gallon. Crude oil is up slightly this week and is currently at 71.85 per barrel. Berries (Blueberries): Supplies are limited and prices are higher. We expect this to be the case for the next 2-3 weeks. Berries (Strawberries): Possible light showers in the forecast for early next week may cause some disruptions in harvest. Berries (Blueberries): Mexico is just starting and will ramp up over the next 2-3 weeks. Peru and Argentina are sending fruit, but arrivals have been delayed. We expect east coast supplies to improve over the next week. Berries (Raspberries): Mexico will start in the next 2-3 weeks. Berries (Blackberries): Mexico is just starting to scratch the surface this week with very little fruit available in McAllen, TX only. Lettuce Iceberg: Huron is expected to begin the third week in November.